The goal when it comes to fueling exercise is to achieve the most effective workout. 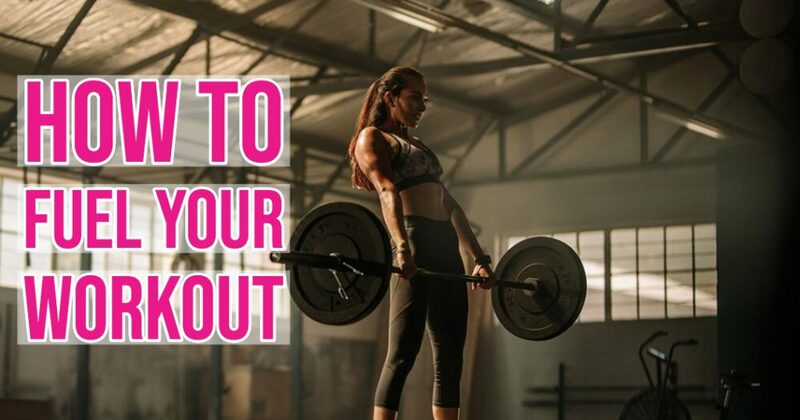 It should both help you power through your routine, as well as making sure your body properly recuperates from the effort. Timing and nutrition go hand in hand – your body needs the right foods to digest, and the right amount of time to do so. Basically, it’s not just what you should eat, but when you should eat it too. Here’s what to keep in mind so you can plan accordingly. Those quotation marks are crucial. The term “carbo-loading” tends to get thrown around carelessly. However, well-timed, well-portioned carbs quickly deliver the energy you need to get through your workout – and continue achieving personal bests. If it’s possible to eat three hours before your workout, that’s ideal. Keep the light meal focused on carbs and under 500 calories (but fewer than 300 calories may not be enough). A great combination? Two cups of oatmeal and a banana. It’s about 400 calories total and delivers a fantastic level of carbohydrates. If you wake up and exercise in under three hours, try a carb-heavy snack. In fact, just divide the above by three! If you eat just a banana or one cup of oatmeal an hour before you hit the gym, it’ll give you the energy your body needs without overfilling your stomach. Around 100 calories should do it! For every way protein is bad for a pre-workout, it’s great for post-workouts. If you eat protein before exercising, you can experience cramping, which will downgrade your workout dramatically. It also slows down your digestion, which is the exact opposite of what a workout should do. After you’re done working out and within a half hour, eat a 4 to 1 ratio of carbs and protein. The ratio is recommended to restore muscle glycogen, which the body will use for energy after it’s used up sugar storages in other areas. If you don’t give your muscles its glycogen back, you’ll run out of energy faster, making for a less effective workout. As for the timing, that’s simply when your body will be most focused on restoring those parts of itself. It’s actually better to eat immediately after a workout than it is to wait 45 minutes. Don’t postpone your post-workout meal more than 30 minutes, and ensure you’re properly fueled. Now, as much as the right balance of carbs and protein can make for a great post-workout bite, pay special attention to what else is in the food you’re eating. Similar to how protein can slow down your digestion before a workout, fat does too – but far more dramatically. Sodium also dehydrates, making it difficult to properly ensure your body has the right amount of fluids. So it’s one thing to eat individual foods with their own nutritional facts. It’s another when you’re eating something like a nutrition bar or smoothie. Make sure the good stuff isn’t counterbalanced with any negatives – they’re known to cancel each other out! Staying properly hydrated throughout the day is an essential part of being a healthy human, and it’s a topic Z.E.N. Foods covers extensively. But even still, this is an essential inclusion: make sure to have a cup of water about an hour before exercising and another one immediately afterwards, while also having a bottle handy to take swigs during the workout whenever you get thirsty. By doing so, you make doubly sure your body is replenished, even if you don’t feel actively thirsty.